Most adults in Northern Ireland live independent, comfortable and secure lives, free from exploitation or neglect. However, there are some adults who, because of their situation or circumstances, may have been harmed or may be at risk of harm. Adult Safeguarding is the term used for activities which prevent harm from taking place and which protect adults at risk (where harm has occurred or is likely to occur without intervention). Health and Social Care (HSC) agencies along with police, play a lead role in preventing, detecting and providing protection to adults at risk of harm. Further information on nidirect – What is abuse, exploitation and neglect of adults? 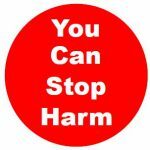 How to respond if an adult discloses harm? If someone tells you they have been hurt or are afraid, you should listen and respond sensitively. Do what you can to make them safe. More information on what to do if an adult discloses they have been hurt or afraid? What to do if you are worried about someone? If you are concerned that you or someone you know has been harmed, exploited or neglected, it is very important to tell someone. Contact your local Health and Social Care (HSC) Trust, they will listen to your concerns and advise you on what will happen next. Your concerns will always be taken seriously and your details will be kept confidential. Support is available for adults at risk of harm, and to assist adults to make decision about what they wish to change, where possible. 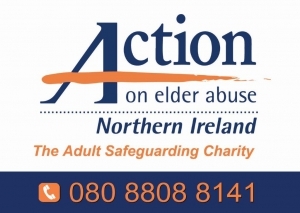 If you are unsure who to contact, you can contact the local Adult Protection Gateway Team or PSNI. What happens after you report concerns? Every concern will be taken seriously. Your concern will be listened to and someone will ask some questions to make sure that they understand your worries. Find out more about what happens after you report concerns. Would you like to tell us your experience? If you would like to share your experience of adult safeguarding with us, you can complete the 10,000 Voices online survey. Responses are anonymous and confidential. The Northern Ireland Adult Safeguarding Partnership (NIASP) and Local Adult Safeguarding Partnerships (LASPs) provide strategic leadership and direction to organisations involved in the spectrum of adult safeguarding activities. NIASP is made up of representatives from the main statutory, voluntary and community organisations involved in adult safeguarding work across the region. Determining the regional strategy for safeguarding vulnerable adults. Developing and disseminating guidance and operational policies and procedures. Monitoring and evaluating the effectiveness of partnership arrangements. For LASP membership details please visit local HSC Trust websites. Safeguarding Adults at Risk Information Hub (SAaRIH) – Login required.